43. בָּכָה רַבִּי יִצְחָק, [וְחִיֵּךְ] וְשָׂמַח. אָמַר, אֵלּוּ הַמַּרְגָּלִיּוֹת תַּחַת יְדֵיכֶם, וְלֹא אֵלֵךְ אַחֲרֵיכֶם? אָמְרוּ לוֹ, אַתָּה תֵּלֵךְ לְדַרְכְּךָ, וְאָנוּ נִכָּנֵס לָעִיר לַהִלּוּלָא שֶׁל בְּנִי זֶה. אָמַר רַבִּי יִצְחָק, עַכְשָׁו יֵשׁ לִי לָלֶכֶת לְדַרְכִּי. הָלַךְ לוֹ וְסִדֵּר אֶת הַדְּבָרִים לִפְנֵי רַבִּי שִׁמְעוֹן. אָמַר רַבִּי שִׁמְעוֹן, וַדַּאי יָפֶה אָמְרוּ, וְהַכֹּל נֶאֱמַר בַּקָּדוֹשׁ-בָּרוּךְ-הוּא. אָמַר, הַדְּבָרִים הַלָּלוּ הֵם מִבְּנֵי בָנָיו שֶׁל רַבִּי צָדוֹק הַחַלָּשׁ הֵם. מָה הַטַּעַם נִקְרָא חַלָּשׁ? מִשּׁוּם שֶׁאַרְבָּעִים שָׁנָה הִתְעַנָּה עַל יְרוּשָׁלַיִם שֶׁלֹּא תֵחָרֵב בְּיָמָיו, וְהָיָה מְפָרֵשׁ עַל כָּל דָּבָר וְדָבָר שֶׁל הַתּוֹרָה סוֹדוֹת עֶלְיוֹנִים וְנוֹתֵן בָּהֶם דֶּרֶךְ לִבְנֵי הָעוֹלָם לְהִתְנַהֵג בָּהֶם. Rabbi Shimon heard from his student, Rabbi Yitzhak, about the study they had previously. Rabbi Shimon said that the study was from the grandchildren of Rabbi Tzadok, who was called ‘the weak’. Rabbi Shimon continued to explain the he was called ‘weak’ because he fasted for 40 years with a prayer that the Holy Temple in Jerusalem wouldn’t be destroyed during his lifetime. We can learn two main lessons from this Zohar. First lesson is that one righteous person can have the power to block great negativity from spreading in the world. The second lesson is that the secrets of the Torah bring energy of life because they are the true path of following the Torah. Today is the ninth day of the ninth month, Kislev. On this day the gates of Yessod of Yessod of Yessod are aligned directly to the higher spiritual level, giving us opportunity to inject our prayers like great Tzadikim. 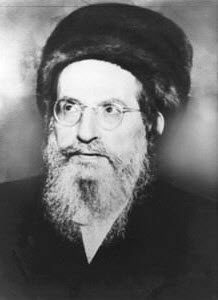 Rabbi Tzadok disconnected himself from the material world by fasting for 40 years and by that he could reveal great secrets that revealed great Light in the world, and stopped the negative side from destroying the Holy Temple. The shortest way for us to nullify our desires for the self and connect to Yessod and righteousness is by giving Tzedakah and study the secrets of the Torah through the Zohar. When we give from what we have we create space in our vessels that brings the Light that we reveal with the Zohar study to shine in our lives. Install the FREE Unity Zohar App and the FREE Tzadikim App in your smartphone (iOS, Android) to have great connection to the Zohar and Tzadikim that can greatly help to elevate your prayers and spiritual connections.